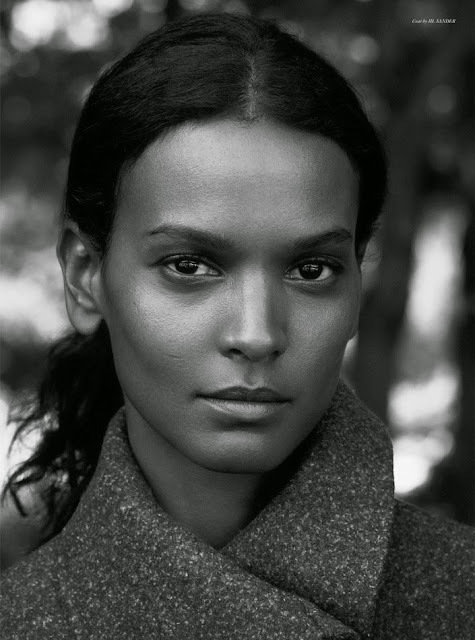 One model that IMA always looks forward to seeing in print or on the runway is the Ethiopian supermodel Liya Kebede. The iconic model continues to mesmerise this month in an editorial and cover story shot by Ward Ivan Rafik for the Fall/Winter 2014 issue of Rika Magazine. Shot simply in a suburban park with a fold-away chair as her sole prop, Kebede's soulful beauty, natural posing ability, and magnetic star quality resonate through Rafik's lens. Stylist Elodie David Touboul has all bases covered decking out Kebede in athletic-inspired dresses, overcoats, pants, and sensible flat shoes from the Fall/Winter 2014 collections of Jil Sander, Paco Rabane, Maison Martin Margiela, Céline, and Junya Watanabe. At age 36, Kebede has enjoyed a prolific modelling career which includes beauty contracts for Estée Lauder and L'Oréal, three American Vogue covers, and campaign bookings for Gucci, Louis Vuitton, Yves Saint Laurent, Dolce & Gabbana, Lanvin, Balenciaga, and Oscar de la Renta. Kebede balances motherhood with her on-going role as a Goodwill Ambassador for Maternal Health for the World Health Organisation. Kebede's supermodel status enables her to model selectively, appearing most recently on Vogue Italia's landmark 50th Anniversary cover and returning to the runway at the Spring/Summer 2015 collections playing muse to Nicolas Ghesquiere in his new role as artistic director at Louis Vuitton.